Our aim as a school, is to have very few children who struggle with the basic skills. 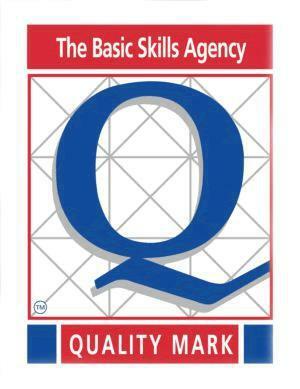 In September 1996 the Basic Skills Agency introduced a Quality Mark for secondary schools, since this time however they have extended it to include primary schools. Gendros Primary achieved the Basic Skills Agency's Quality Mark - The Quality Mark for schools is intended to provide a framework for the continuous improvement of basic skills, in particular it is concerned with raising the standards of literacy and numeracy. By basic skills the agency means the ability to read, write and speak in English and the use Maths at a level necessary to function and progress at work and in society in general. At Gendros Primary we believe we have a main responsibility as staff and as a school to teach the basic skills of reading, writing and comprehension (including spelling and the language and concepts of Maths) so that children can extend these skills as they progress through life. We feel it is essential to provide children with effective opportunities to acquire these skills and that we provide a learning environment to stimulate and motivate these children. We are concerned as a school that we do not simply improve children's ability just to decode print or use the four rules of number. We are committed to the provision of opportunities, which will enable them to achieve a higher level of comprehension and the skills to apply their knowledge. make pupils aware of individual success, progress and encourage and provide opportunities for inspiring self-esteem. The Swansea Standard for Self-Evaluating Schools is pushing schools for the need of internal self evaluation - this process is steadily increasing. Its significance is widely recognised as the major means through which a school not only improves its provision but also works actively with others to fulfil its accountabilities. School self evaluation is a term that is used to describe all the processes and practices by which a school comes to know itself better, so that developments and their outcomes are both effective and transparent. Whilst frameworks of questions and lists of criteria for judging standards and quality are readily accessible, there is currently little available to challenge schools to examine, develop or validate their processes and practices. 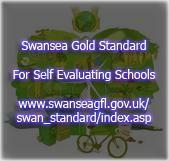 The Swansea Standard comprises a set of statements by which the quality of self evaluation can itself be assessed at 3 levels – Bronze, Silver and Gold. Here at Gendros Primary, we have completed all three levels of self evaluation and have achieved the Gold Standard for Self-Evaluation. We believe in giving children the best framework of education possible. By doing so we are continuously reviewing our processes and practices to give the quality of teaching at an all-time high. The Healthy Schools Programme (NHSP) is a joint initiative between DCSF and Department of Health (DH) - which promotes a whole school / whole child approach to health. The Programme has existed since 1999. It is recognised as a key delivery mechanism in the Children’s Plan (DCSF 2007) and in Healthy Weight, Healthy Lives (DH 2008) – 21st Century White Paper reference. The goal of this is that all children and young people are to eat healthily and achieve at school and in life. Also, this will provide opportunities at school for enhancing emotional and physical aspects of health. In the longer term however, this will lead to improved health, reduced health inequalities, increased social inclusion and raise overall achievement for everyone. Here at Gendros Primary we completely endorse the Healthy Schools Programme and we are currently following the County's "Swansea Healthy Schools Scheme" - The Healthy Schools Scheme is an exciting and long term Welsh Government Initiative, which aims to actively promote and protect Health. This includes all aspects of Health: physical, emotional, mental, social and the wellbeing of the whole school community. 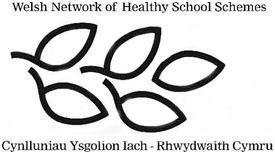 In Swansea, Gendros Primary is one of the 85 active primary school members of the Healthy Schools Scheme. This scheme works in partnership with the LEA to support schools in initiating positive actions which focus on the following areas. Currently we are on Phase 4, Part 2 of this scheme.